"Are you the rugged outdoorsy type? Do you like hiking, camping and just getting down and dirty, but like to take your phone or MP3 player with you? One of the problems with today’s devices is that they’re rather fragile and they really can’t stand up to much abuse at all. Don’t even think of getting them wet, they’ll be ruined for sure. Dropping them, don’t do that either, chance are you’ll have a busted device. 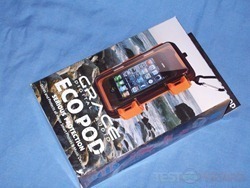 If you like playing outdoors then you need a rugged case for your gadget, and the one I have for review today might just work for you, it’s the Grace Digital Eco Pod. 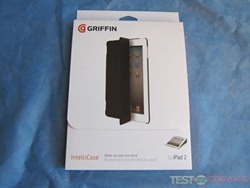 This case offers more than enough protection for your device from the elements, drops and even altitudes. 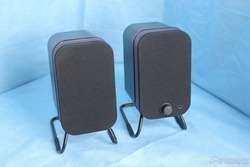 So read on… "
" Designed with a retro appearance that provides a modern sound the Lower East Side Media Speakers are being marketed with a hipster ethos. This is immediately noticed with their use of Instagram style photos on their packaging and website for this product." 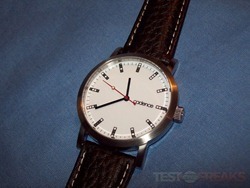 "A watch, I don’t think I’ve ever reviewed one, but I have one for review today from a company called Cadence. This watch isn’t just your normal kind though, it’s a sneaky, geeky one. Yes I said sneaky, geeky there. This watch is called the 4-Bit binary and it was designed by a gentleman called John Flear for our enjoyment. What makes this watch special is the numbers, or actually lack of numbers, instead they are replaced with, you guessed it, 4-bit binary code. Anyway, let’s just jump right into this… "
"The PC case or chassis is a misunderstood thing really. Many people are happy with that beige box sitting under their desk, but not me, and not a lot of people out there either. Luckily for us there are companies like NZXT who come up with great designs for cases for those of use that don’t like the beige box. 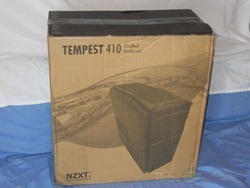 Today for review I’ve got one of the newest cases from NZXT called the Tempest 410 and it’s aimed at the gamer or enthusiast with a sleek look and lots of airflow. The case has plenty of room for many hard drives, large video cards, big CPU coolers and space for those that might want to do a little liquid cooling as well. I like the Tempest 410 a lot, but it’s not perfect, but it’s close. 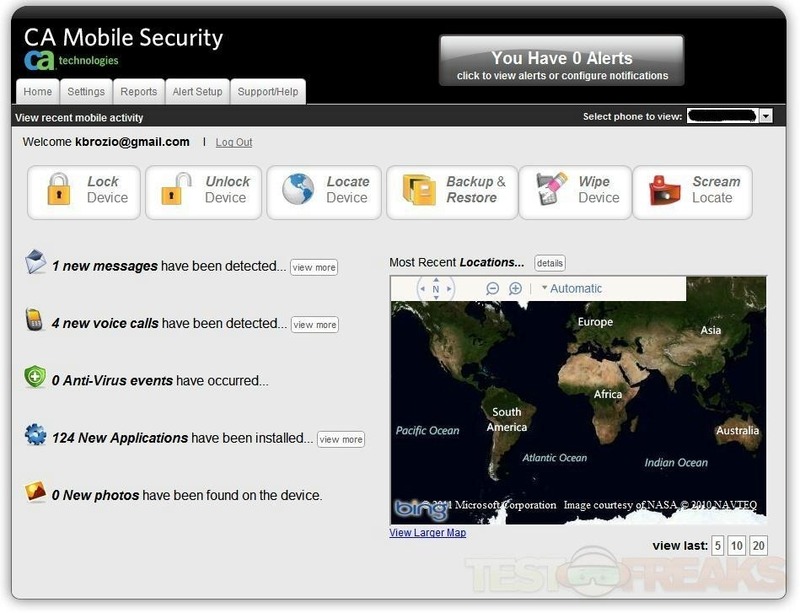 Read on… "
"Today for review I’ve got Total Defense Mobile Security which is an app for your smartphone that is anti-virus and much more than that. The software goes on your phone, be it Android, Windows Mobile, BlackBerry or even Symbian. I’ve installed it on both my Android phone and my tablet for testing. It’s much more than an app though, you can access your own account on the Total Defense website and see calls, texts, locate the device and even remotely wipe it among other things. It’s certainly something to look into if you’re a security conscious person, or like to know what’s going on in your child’s life. " 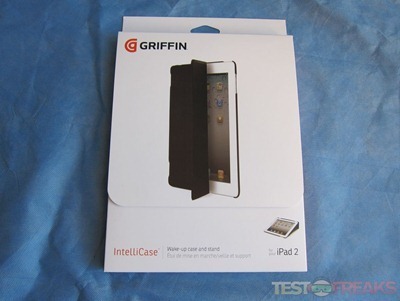 " For today’s review we will be looking at an iPad 2 case from Griffin. The IntelliCase is a folio style designed to be low-profile. It is composed of a hard polycarbonate shell on the back and flexible thermoplastic polyurethane. Griffin designed the IntelliCase to work in either an upright or incline position for viewing the screen or typing on the virtual keyboard."